The Russian government surprised everyone, and sparked major reactions internationally, when that country’s Ministry of Justice ordered 1 November 2012 the closure of Russian’s indigenous peoples umbrella organization RAIPON, because of an “alleged lack of correspondence between the association’s statutes and federal law”. A Russian indigenous rights activist of Udege nationality, an indigenous nominated United Nations Permanent Forum on Indigenous Issues member from 2005-2007, a member of the Public Chamber of Russia and the UN Working Group on the issue of human rights and transnational corporations and other business enterprises, and known to be one of the most outspoken indigenous rights activists in the Russian Federation, he is not willing to give up. Pavel Sulyandziga argues to the press that federal authorities increasingly see indigenous peoples as a troublesome element in Russia’s development goals. “There is an extensive hike in the level of industrialization in the north, and the indigenous peoples are among the last barriers against the companies’ and state’s development of the resources. The authorities strongly dislike RAIPON’s extensive international engagement.” Sulyaudziga told newspaper Novaya Gazeta. “All basic rights of indigenous peoples are being taken out of federal legislation.” He added. Furthermore, Sulyandziga informed that he knows that federal authorities are trying to establish alternative organizational structures, which could replace the role of RAIPON. What is kind of confusing, RAIPON’s president Sergey Kharuchi comments instead to the press that he sees no political motivation behind the decision of the Justice Ministry and that he therefore opposes the statements made by RAIPON’s first vice- president Sulyandziga. These comments coming from the current president of RAIPON have raised more than a few eyebrows among RAIPON’s members and it’s international supporters. Sergey Kharuchi also informed that “the upcoming congress of RAIPON was planned to take place in March 2013, with agenda items to adjust the statutes in line with the demands of the Justice Ministry, but also to make serious conclusions about the organizational structure”. In the meantime, first vice-presedent of RAIPON, Pavel Sulyandziga, underlines in his request sent to the Russian Supreme Court on 15 November that the Ministry of Justice’s decision to close RAIPON is ill-judged and illegal and must therefore be withdrawn. In his article in the Vancouver Sun, journalist Bob Weber stated that Canada’s term as head of the Arctic Council could get interesting before it even begins after Russia shut down RAIPON that represents indigenous peoples from Russia not only at international meetings but also at the eight member states Arctic Council. RAIPON represents more than 250,000 indigenous peoples, and is one of six indigenous organizations that have the status of “permanent participants” at the Arctic Council, that don’t have votes, but have full consultation rights and are part of all discussions. Canada begins a two-year term as the council’s head in the spring. 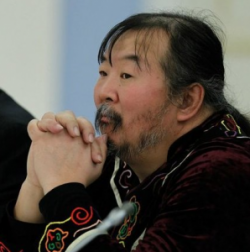 Duane Smith, head of the Inuit Circumpolar Conference Canada and a council delegate, was quoted that Anton Vasiliev, the Russian ambassador to the council also seemed surprised, he even signed the council’s statement of concern. 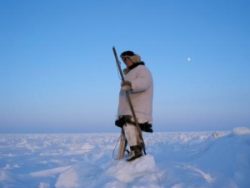 “The fact that the Ministry of Foreign Affairs was surprised by this and was willing to come out against it says to me this matter has not been resolved with the Russian government,” Michael Byers, an Arctic expert at the University of British Columbia added. RAIPON has in its more than 20 years of its existence worked actively to protect indigenous peoples’ human rights and legal interests, as well as to promote their right to self governance. RAIPON represents 40 groups of Indigenous peoples inhabiting huge Arctic territories of the Russian Federation from Murmansk to Kamchatka. In it’s report on the 11th session, May 2012, the Permanent Forum on Indigenous Issues made some recommendations to the Economic and Social Council regarding Russia, and Indigenous Peoples. Earth Peoples posted below this article relevant excerpts in a jpg. It would be interesting to learn what exact actions are taken by the United Nations human rights mechanisms, so far we haven’t seen any publicly made statement. Support from social movements, organizations and human rights groups is urgently needed, that could send their support letters for RAIPON to Putin, or to Russian Embassies in their countries. They could also sign on petitions, and disseminate information about RAIPON’s suspension on their websites, magazines and social networks. Or people can protest in front of Russian Embassies. Or post comments and send letters to their newspapers. You can also send support for RAIPON and the indigenous peoples from Russia to Erka Rosenthal, she is collecting signatures, so please send your information directly to her: erosenthal at earthjustice.org.